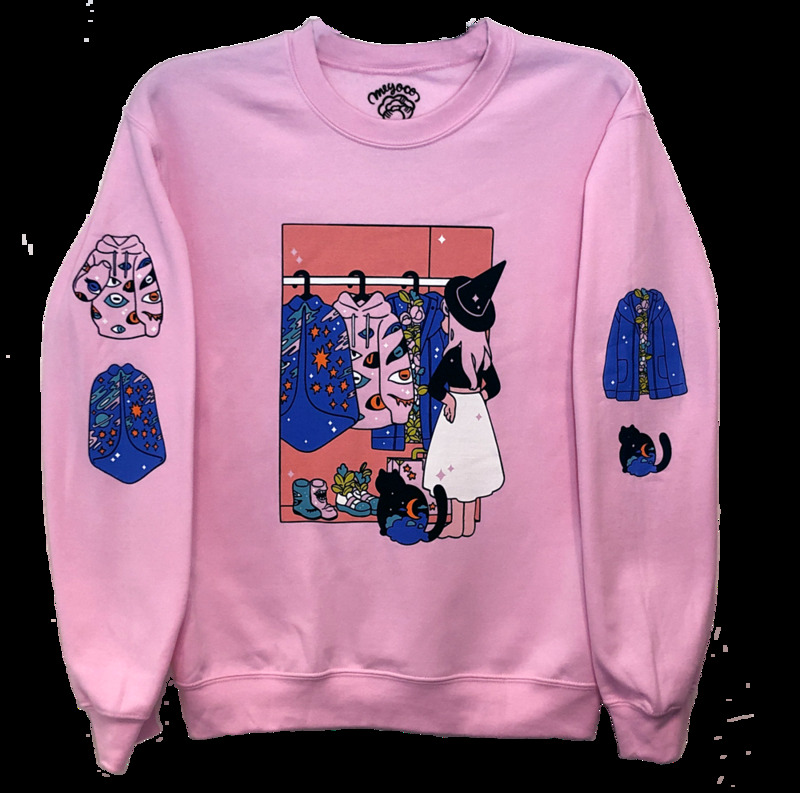 Light pink unisex sweatshirt with screen printed design on front and sleeves. Model is 5'4", wearing size S.
Machine wash cold. Do not bleach. Tumble dry low. Do not iron decoration. Do not dry clean. Every item in this store is designed by Meyoco, with fulfillment handled by White Squirrel.